It looked like campionship leader Martin Truex Jr. would cruise home to an easy win at Richmond International Raceway until Derrike Cope touched the wall with three laps to go. 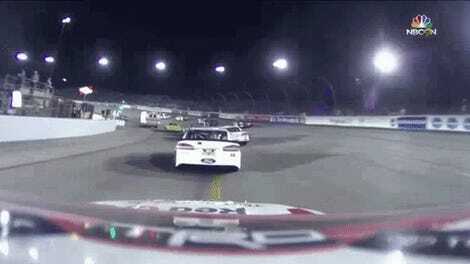 But he didn’t end up winning tonight—Kyle Larson did. Now the playoff grid is set and we’ll see if Truex gets upset there as well. Kyle Larson jumped ahead of Truex in the pit stops that followed the final caution brought out by Cope’s contact with the wall. 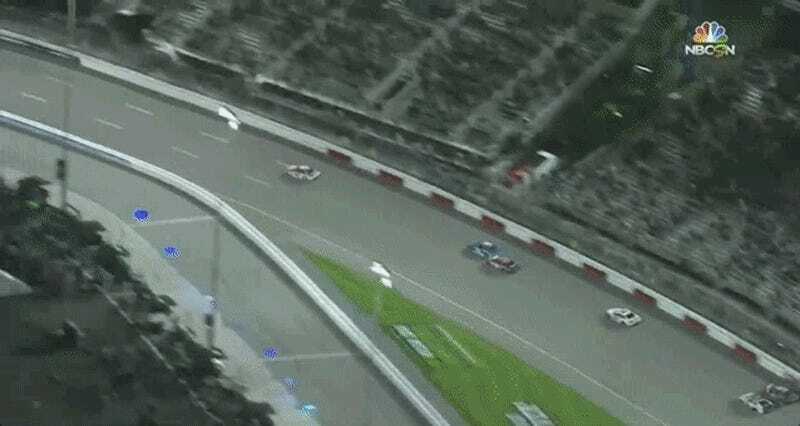 On the restart, Denny Hamlin touched the rear of Truex’s car, spinning Truex out and letting Larson cruise home to his fourth win of the season. Hamlin took full responsibility for not turning in time as Hamlin was starting to angle in for the turn. “They tell me I’m a hero around here, and today I was a clown,” Hamlin told NBC Sports. Hamlin was booed by fans before the race—his home race, no less—after having both of his wins ruled encumbered (as in, he’s still technically the winner but loses all benefits of winning) for rear suspension violations last weekend. 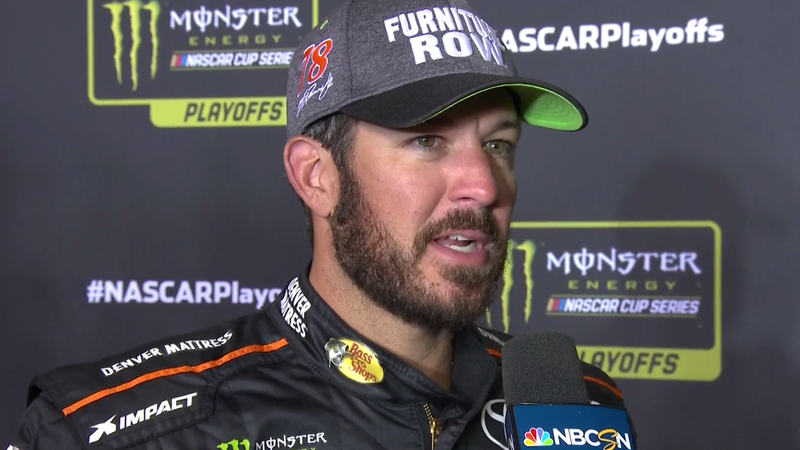 Truex won the regular season championship regardless because he was so far ahead on points, even though he did not win the regular season finale tonight. He was still very angry with Cope in his post-race remarks, however, arguing that Cope was so far down in laps that Cope didn’t even deserve to be on the track. He also blamed Cope for costing him five extra playoff points from forcing the field to restart. A few big names are missing from the list. Retiring fan favorite Dale Earnhardt Jr. just couldn’t get a win, so he’s out. An uncontrolled tire penalty from lap 367 tonight dashed Clint Bowyer’s hopes of getting in on points. Joey Logano finished second tonight after Hamlin and Truex crashed ahead of him, but didn’t ultimately make the playoff cut. Meanwhile, Matt Kenseth can breathe easy now. Kenseth was left waiting on pins and needles after crashing out due to an ambulance blocking pit lane entry, hoping no one new would win and bump him out of the playoffs. That’s exactly what happened, so he’s in the playoffs.